The agility and cost benefits of cloud technology have given wings to enterprises by allowing them to increase the pace of their innovations. 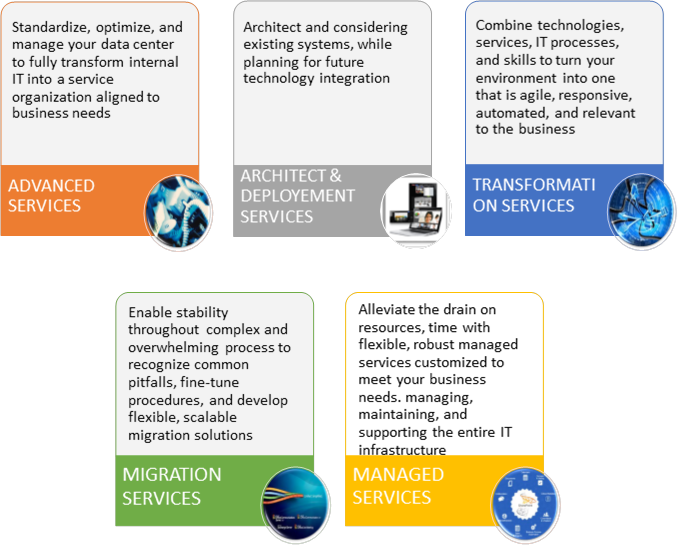 This, however, has made it difficult to sustain, enhance and modernize the IT infrastructure for accelerated growth. Happiest Minds cloud technology management services allow enterprises to plan, implement and address complex infrastructure platforms ensuring security, agility, cost management and compliance adherence, while innovating, prioritizing the right projects, and assuring service transformation that reduces time-to-market and helps in increasing the market share. Young organizations have very simple needs, no sunk costs and fewer applications to integrate. Therefore, they can achieve prompt results from public cloud technology management services. However, as the company grows, it takes extensive planning to create an enterprise cloud that meets both performance and security needs. These companies look for cloud management services with virtualized servers, storage and networks that are agile and flexible so that they can assess everything from performance to control, and the ability to exchange information in large heterogeneous networks. The advent of cloud management services has made it obligatory for enterprises to move their critical applications and data to cloud. However, prolonged, complex and costly implementation of data migration is still a major concern. Matching the incoming data to appropriate storage protocols and infrastructure is inherent to the challenges faced during a successful data migration. IT professionals very easily get into the loop of repetitiveness than concentrating on the task to solving critical business needs. IT Process Automation helps them eliminate tedious manual interventions and provides an automation tool that automates key process such as system, network and application tasks. This boon allows the developers to focus on key business issue which will improve service quality. Happiest Minds iTaaS (Infrastructure Transformation as a Service) platform for service delivery based on the ITIL framework help customer’s leverage our agile and optimized platform to attain sustained competitive advantage. The adoption of cutting-edge tools and processes in our ITIL V3 compliant platform ensures that the managed services are delivered efficiently and effectively. Our iTaaS platform being modular in nature helps experience SLA-based services, high levels of automation, process maturity, selective sourcing and a comprehensive set of metrics help deliver predictable and consistent results. How can PaaS help in solving business problems?